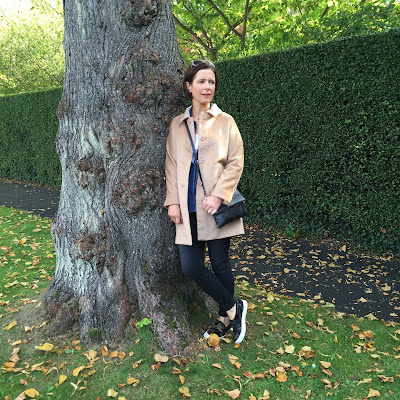 I blogged about this coat during the summer and it's been on my wish list since then. 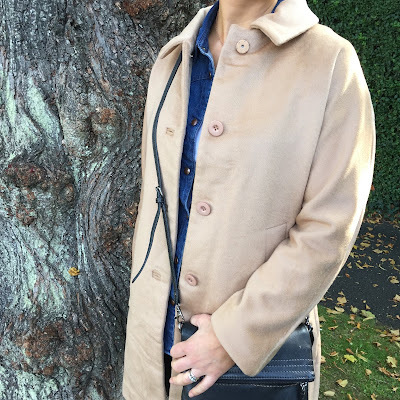 I've had a camel coat hole in my wardrobe for ages and while I've bought a couple of less expensive ones in the past 2 years, they were never right...I still hankered after a cashmere/wool mix....a proper luxurious camel coat. 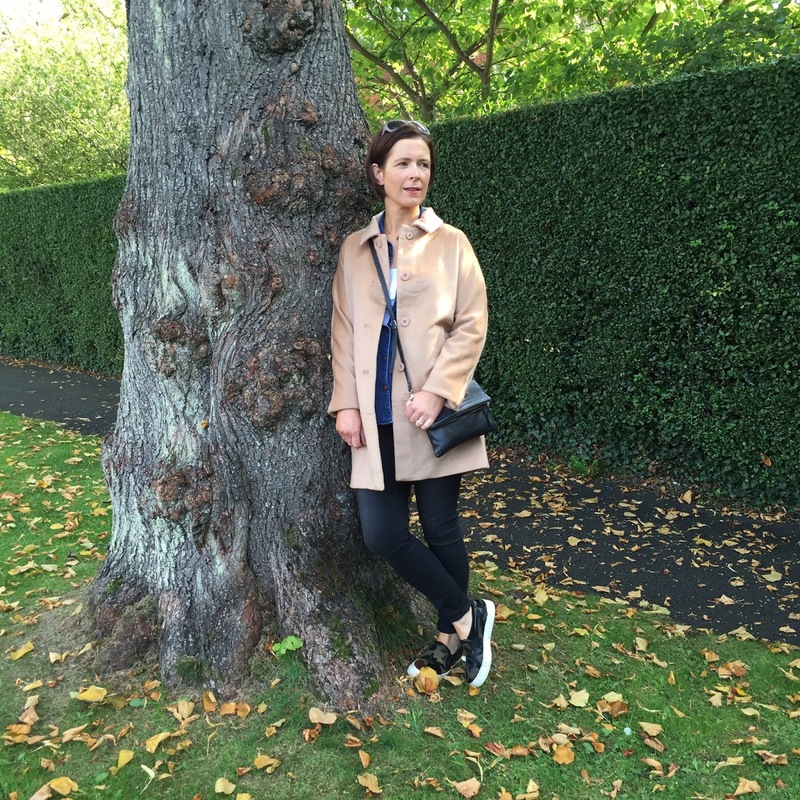 Then I was fortunate enough to be offered my choice of item from the Hush AW15 collection to review. 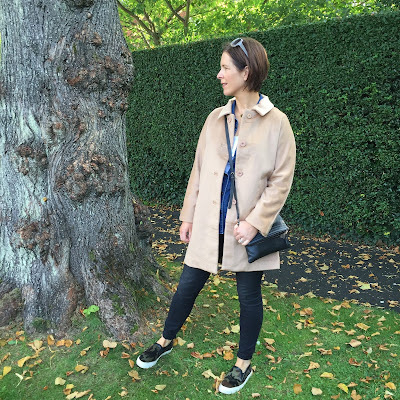 I enquired about the Michelle coat, crossed my fingers and was blown away when the Hush people said I could have it! But here the thing, when it arrived, I was a little underwhelmed. It was more lightweight than I'd expected and quite creased. I'll be entirely honest with you and say that if I'd paid for it, I'd have had doubts about keeping it. I realised that because it's wool & cashmere, it doesn't need to be heavy. It's actually incredibly warm to wear....and an absolute pleasure to wear too because you don't have the weight you'd expect from a coat that keeps you so warm. I also love the style of it. I've realised over the years that high collared or no-collared coats suit me best - the traditional crombie style isn't the most flattering on me. The shape of this coat is perfect. Not too formal but still with a bit of structure. I used the original image from the Hush catalogue as my inspiration and wore the coat with black jeans, a denim shirt and some slip on trainers. Disclaimer - this coat was provided to me by Hush for the purposes of this review. I was not paid to write the review and the words are all my own. Thanks for supporting the brands that support this blog. I went for the collarless Boden Sienna coat in a similar colour. I find it so versatile. This looks lovely on you. Loving all your basics! Hi unable to read this post due to huge adverts endlessly popping up??? Looks like a gorgeous coat. 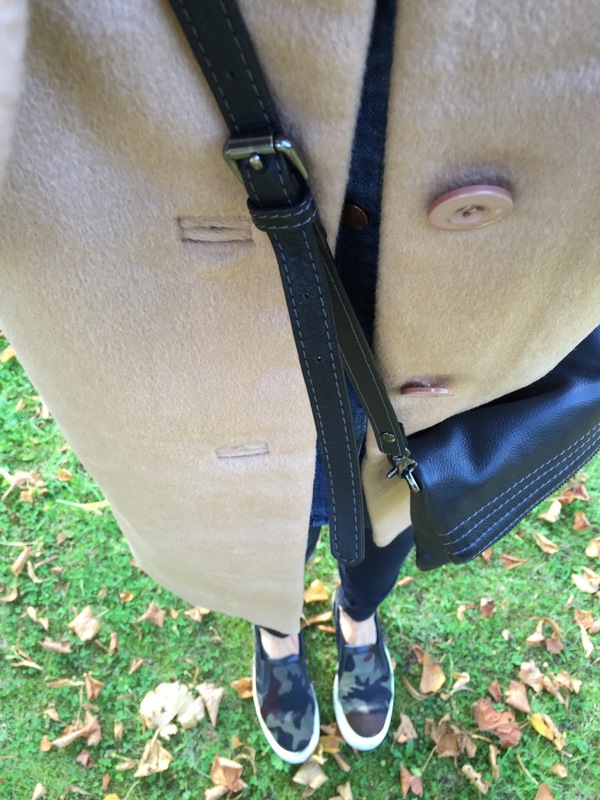 I honestly don't think you can go wrong with a camel coat and sounds like you've really found a winner! I'm loving this coat on you. I've never had a camel coat but I think I may be investing in one ...... Must start hinting to the husband!